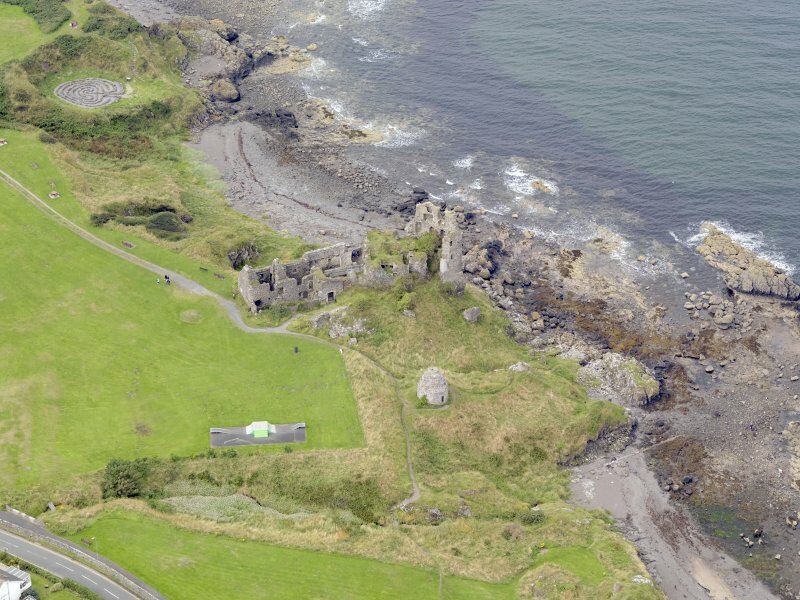 Oblique aerial view of Dunure Castle, taken from the WNW. 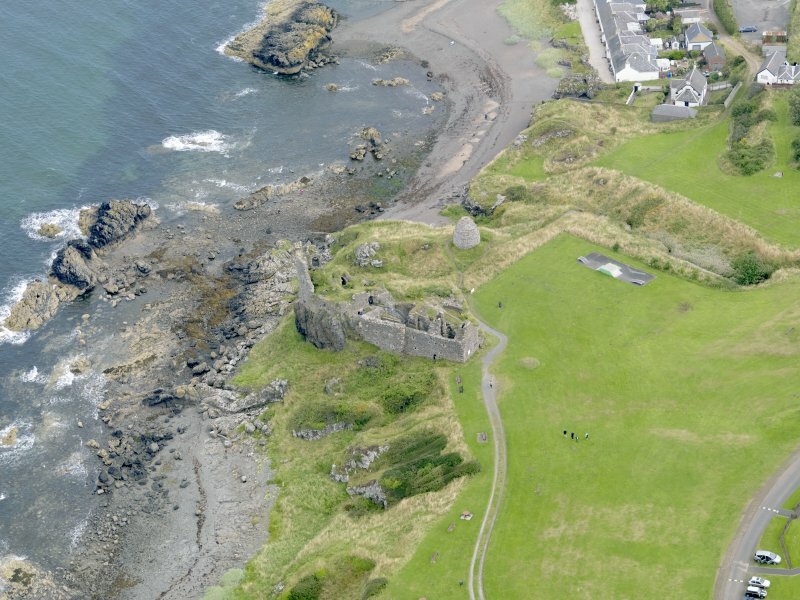 Oblique aerial view of Dunure Castle, taken from the NNW. 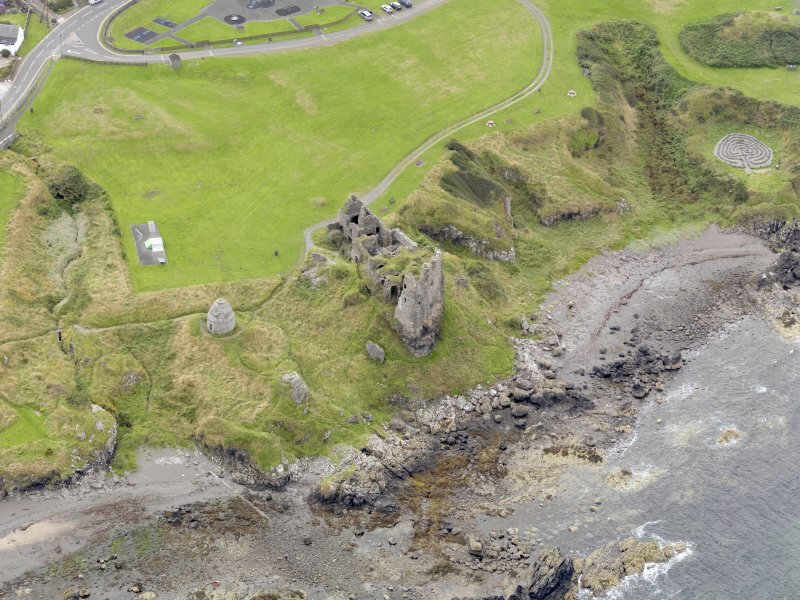 Oblique aerial view of Dunure Castle, taken from the ENE. 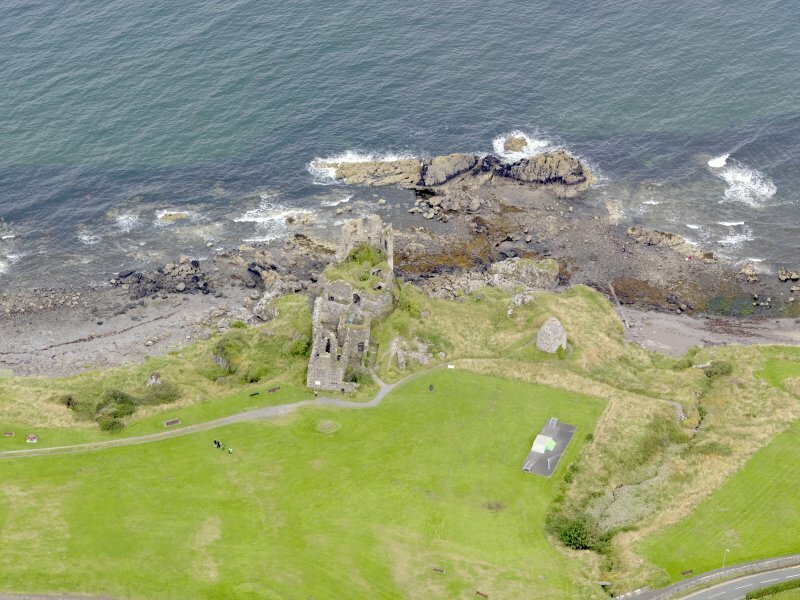 Oblique aerial view of Dunure Castle, taken from the SE. 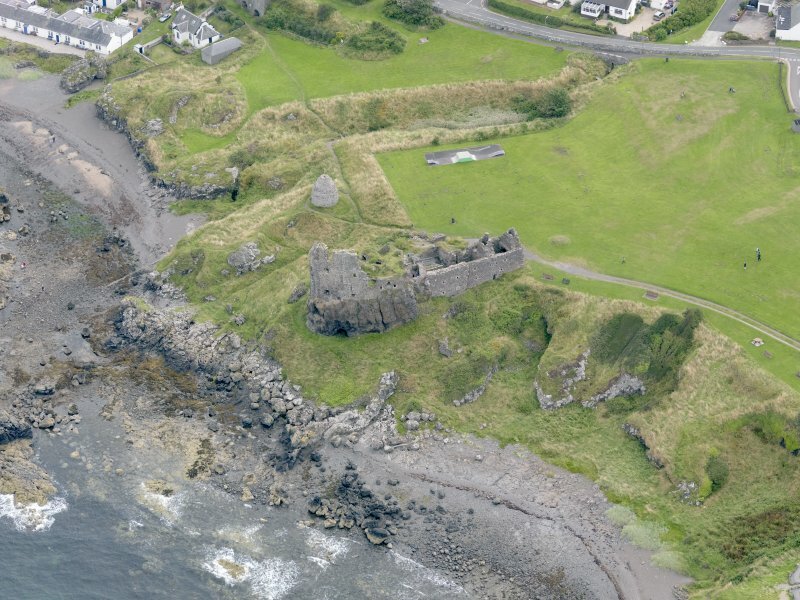 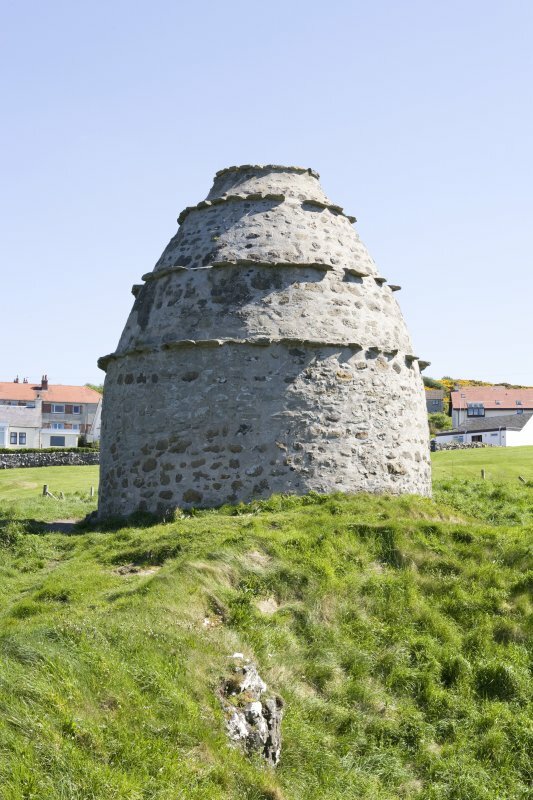 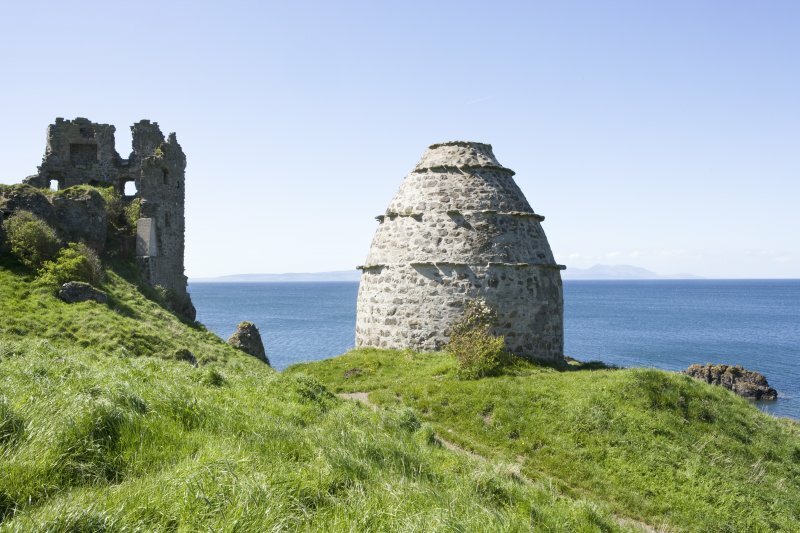 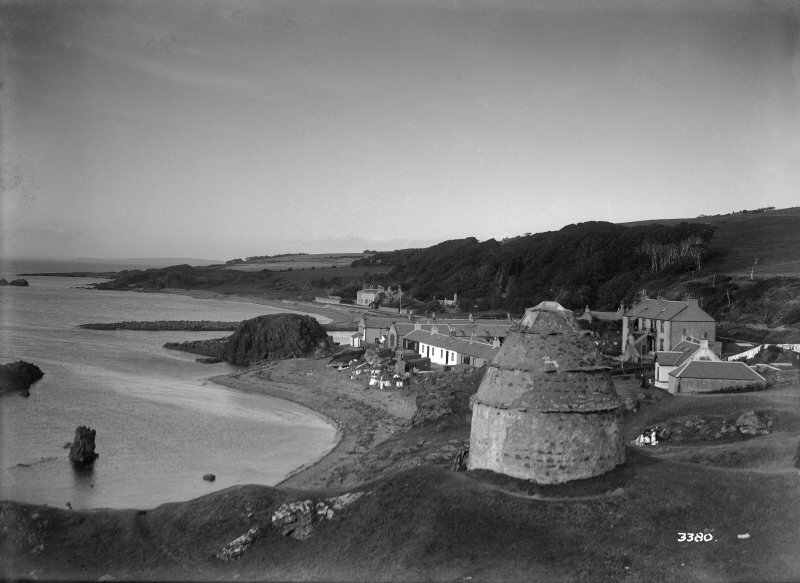 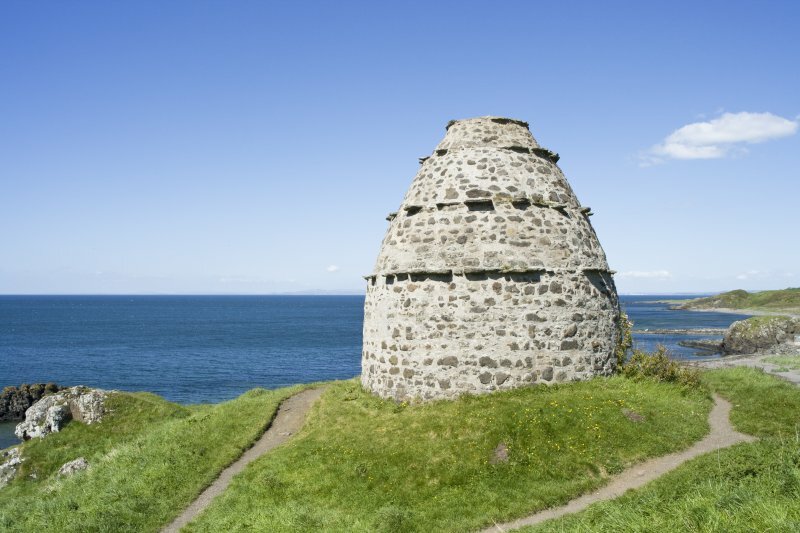 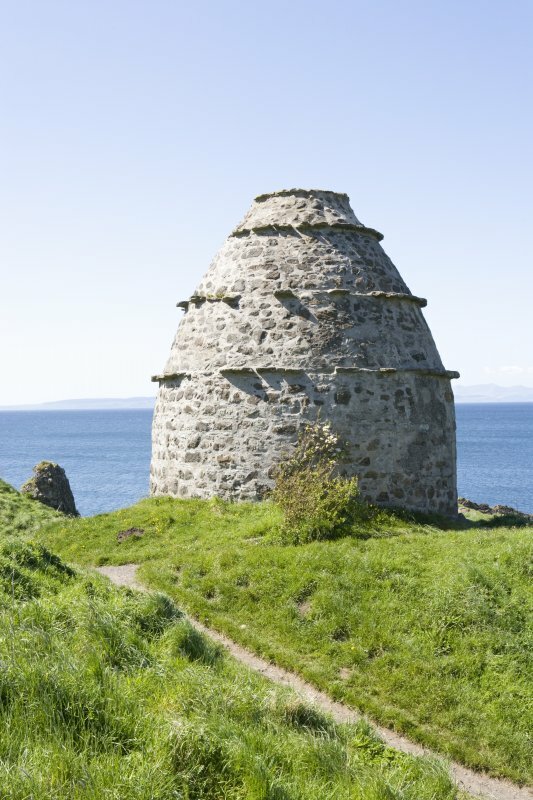 Oblique aerial view of Dunure Castle, taken from the SW.
C17 well preserved Beehive dovecot. 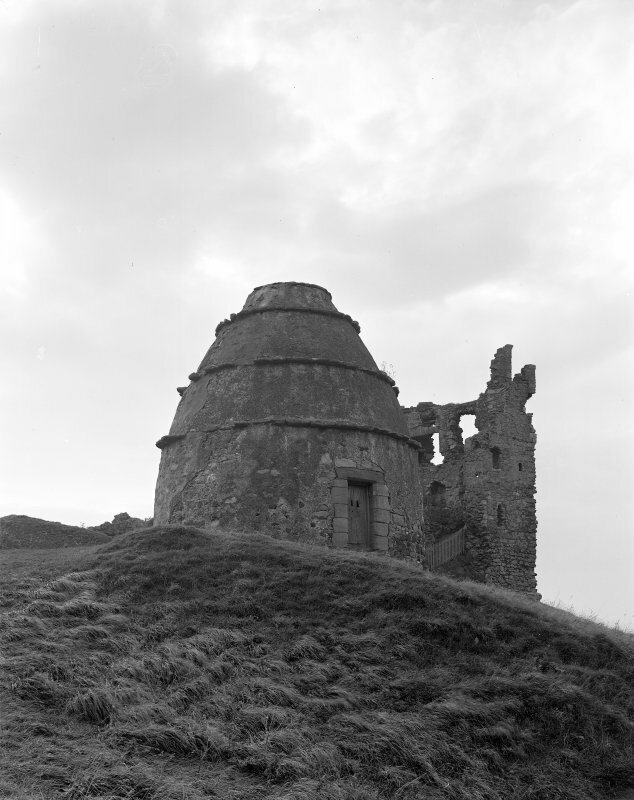 Photographed on behalf of the Buildings of Scotland publications. 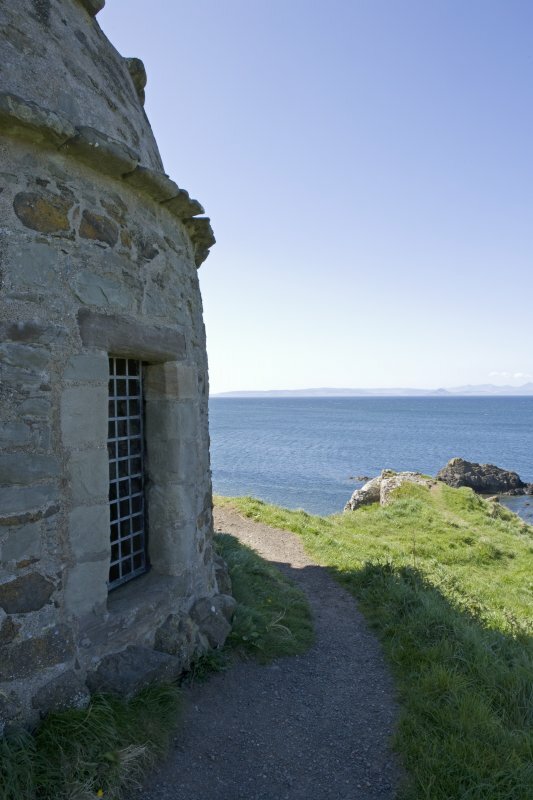 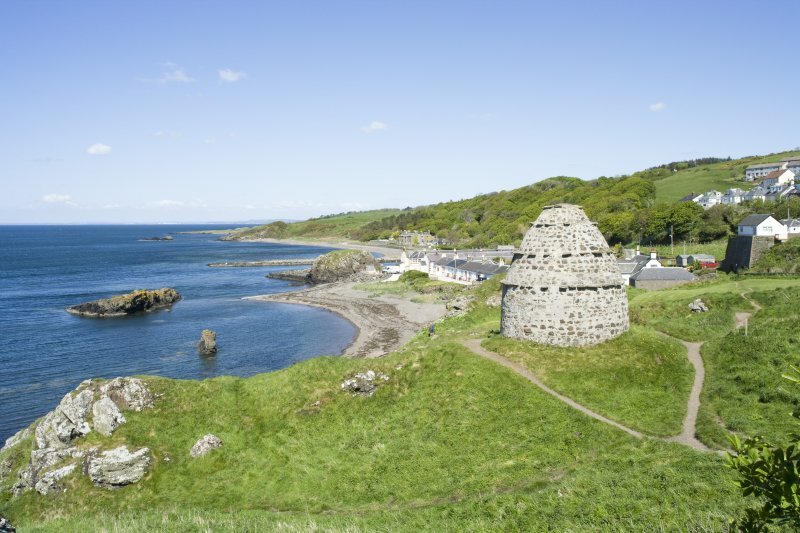 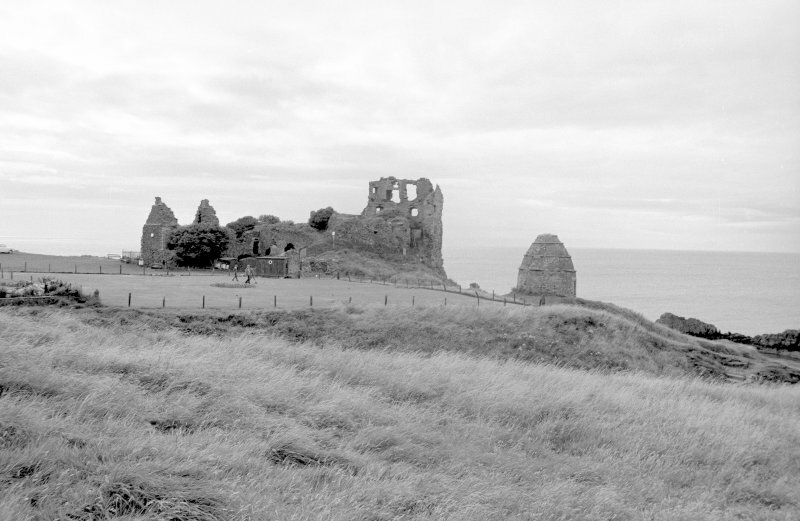 For Dunure Castle, see NS21NE 8.